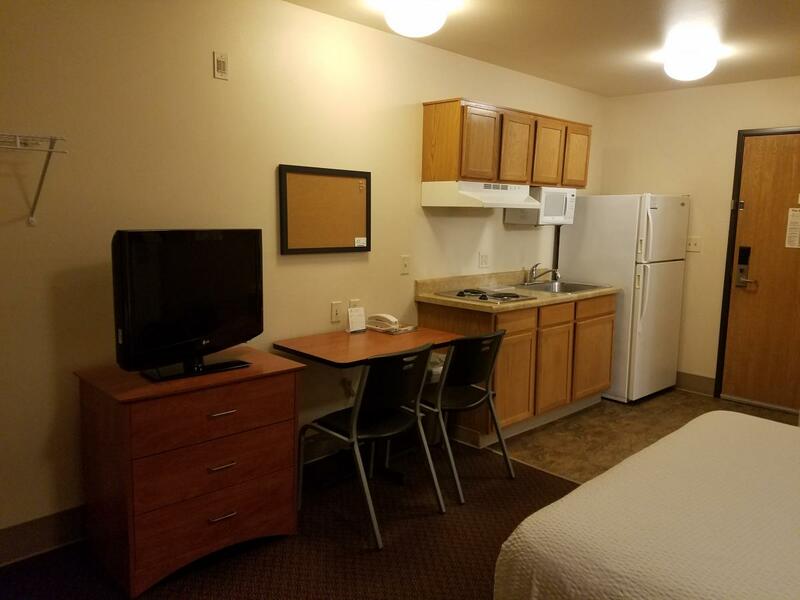 We are an extended stay hotel located in Ankeny, Iowa. We have 105 rooms, which have either one bed, 2 beds or a sofa sleeper with one bed. 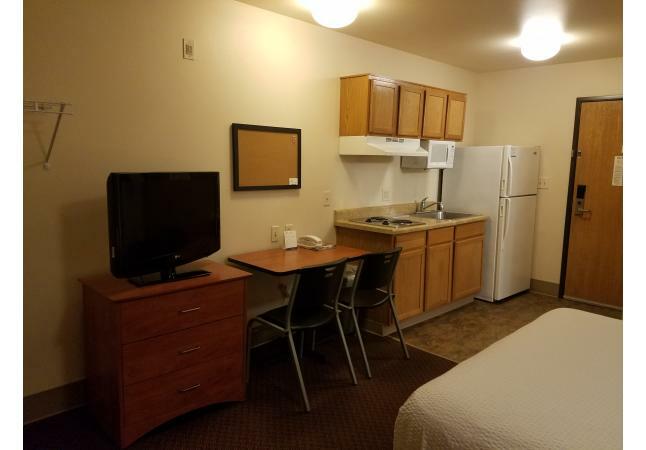 All beds are full size extra long and all rooms come with a full size frig, microwave and 2 burner stovetop, so you may cook in your room. We do not supply dishes but we do sell dishpaks which is a setting for 2. We offer smoking and non-smoking rooms and we are pet friendly! We do not offer breakfast but we are close to shops and restaurants. We strive for cleanliness and safety. We also have free WIFI, DISH TV and we have on site laundry.